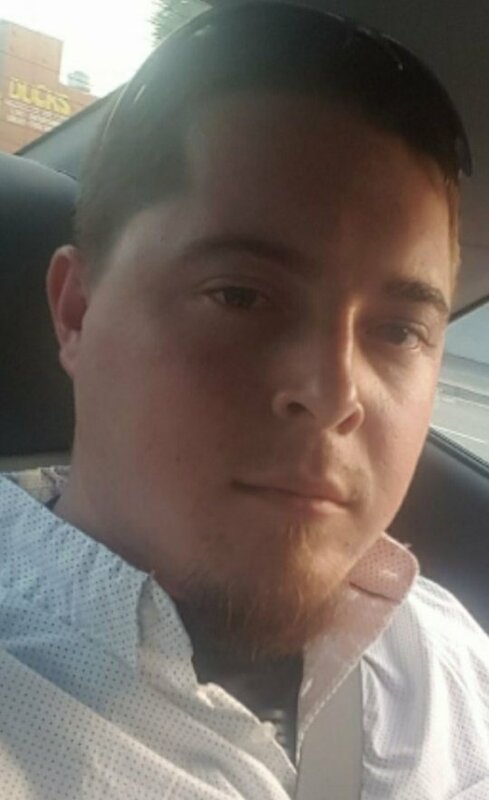 Thursday, February 8, 2018 – 1:00 P.M.
Joseph “Joe” Allen Hughes, age 26, of Somerset, Kentucky, passed away on Saturday, February 3, 2018 at his home. He was born September 23, 1991 in Somerset, Kentucky, to David Hughes, and Cynthia Warren. Joseph was a member of the Barnsburg Baptist Church, he was employed at Bluegrass Oakwood, where he was a caregiver, he had the utmost respect and a very giving heart for his patients. He never met a stranger and was a supporting caring friend to all. Joseph was a graduate of Pulaski County High School, Class of 2011. He is survived by his father, David Hughes (Holli) of Somerset, Ky.; mother, Cynthia Warren of Prestonsburg, Ky.; grandmothers, Maggie Mounce, of Somerset, Ky.; Barbara Warren, of Prestonsburg, Ky.; brothers, Jacob, Caleb and Noah Rogers, Gage Hughes, all of Somerset, Ky. and Lucas Cornwell, of Louisiana; sister, Elizabeth Hughes of Somerset, Ky.; aunts, Emma Hughes, of Nancy, Ky., Barbie Ham, of Somerset, Ky. and Diana Warren of North Carolina; uncles, Donald Hughes, (Tabitha) of Somerset, Ky., Danny Hughes, of Nancy, Ky., Jerry Warren (Rachel) of Raleigh, North Carolina and Dewayne Warren, of Prestonsburg, Ky.; nephew, Mickey Cornwell. Preceded in death by his grandfathers, Melvin Hughes and Dirl “Slick” Warren. Serving as Pallbearers, Jacob Rogers, Caleb Rogers, Iven Warren, Jerry Warren, Dustin Hughes, Kasey Hughes, Gaje Hughes and Matt Rogers. Visitation will be from 6:00 pm until 9:00pm on Wednesday, February 7, 2018 in the Chapel of Southern Oaks Funeral Home. Funeral Services will be at 1:00 pm on Thursday, February 8, 2018 in the Funeral Home Chapel with Bro. Jamie Epperson officiating. Interment will be in the Grave Hill Cemetery. In lieu of flowers the family has requested donations be made to the Wounded Warriors Project. Southern Oaks Funeral Home is entrusted with the arrangements for Joseph Hughes.